He says the House, at the very least, is voting more than the Senate, and he says the government should get out of the way. 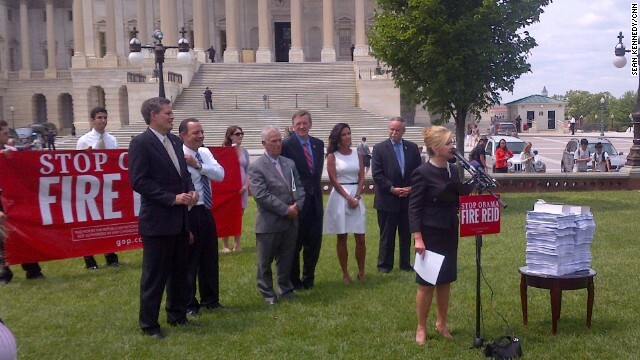 Washington (CNN) - Republican National Committee Chairman Reince Priebus Tuesday joined half dozen House Republican lawmakers at a rally outside the Senate steps to call on the American people to "fire" Senate Majority Leader Harry Reid (D-NV) by winning control of the Senate in 2014. Speaking to a crowd of around 100 GOP staffers and supporters (and a handful of curious tourists), Priebus said, "For too long now, Sen. Reid has run the Senate with an iron fist, blocking legislation that would help working families." 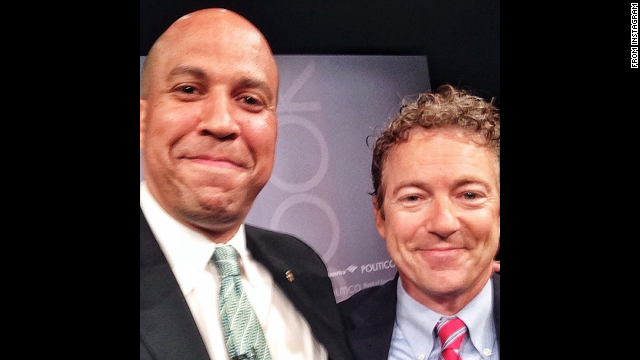 Washington (CNN) - Republican Sen. Rand Paul teamed up with a Democrat once again Tuesday in his effort to restore voting rights for convicted criminals who've served time in prison. 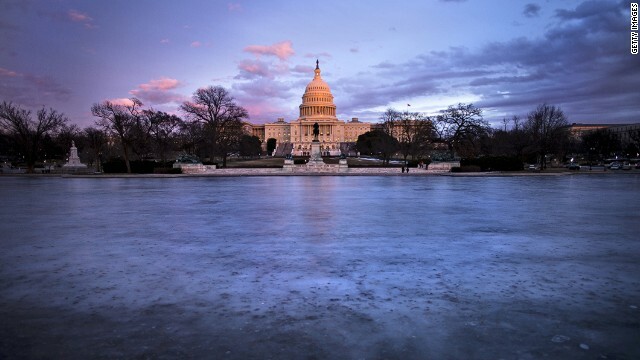 The Kentucky senator held a panel discussion on Capitol Hill with Sen. Ben Cardin of Maryland, the latest high-profile Democrat publicly working with Paul to rally support around a policy or idea. Washington (CNN) – Ahead of a White House meeting Wednesday, House Speaker John Boehner called on President Barack Obama to lay out a "broader strategy" for how to deal with sectarian violence in Iraq, but the Ohio Republican said the United States should "absolutely not" talk to Iranians about the crisis. "I can just imagine what our friends in the region, our allies will be thinking by reaching out to Iran at a time when they continue to pay for terrorists and foster terrorism not only in Syria, in Lebanon but in Israel as well," Boehner told reporters after the House GOP weekly conference meeting. Washington (CNN) - Senate Majority Leader Harry Reid and his wife, Landra, announced Monday they sold their family home in the famously tiny desert mining town of Searchlight, Nevada, where the senator grew up and will move near Las Vegas. Reid said they want to live closer to their four children and 16 grandchildren. He said it also will make it easier to run for a sixth term when he is up for re-election in 2016. 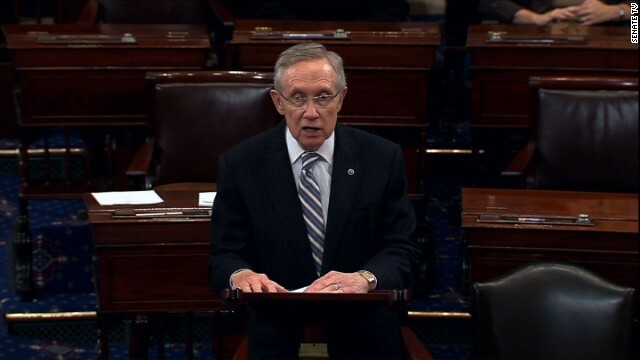 Washington (CNN) - The timing of when the Obama administration told Harry Reid about Bowe Bergdahl's release doesn't matter, the Senate Majority Leader argued Thursday. "Is it Friday or Saturday? What difference does it make? What difference does it make?" the Nevada Democrat said at a press conference. Washington (CNN) - Saying that "No one should be able to pump unlimited funds into political campaigns, whether they are Democrat, Republican or independent," Senate Majority Leader Harry Reid on Thursday strongly backed a proposed constitutional amendment that would limit campaign spending by outside groups. Reid announced on the Senate floor that the Judiciary Committee would soon hold a hearing on the amendment, introduced earlier this year by Democratic Sens. Tom Udall of New Mexico and Michael Bennet of Colorado, and that the full "Senate will vote on that legislation." 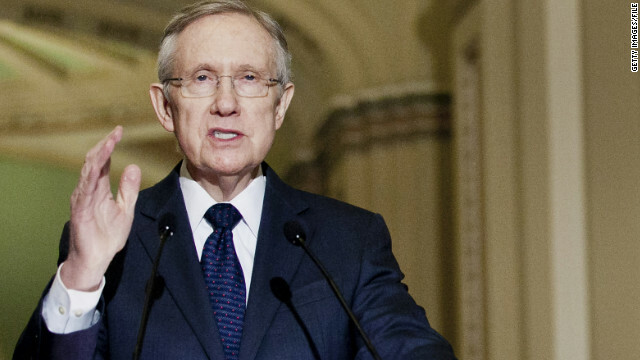 Washington (CNN) – Top Senate Democrat Harry Reid struck a significant blow to one of President Barack Obama’s judicial nominations Wednesday, as the senator’s office confirmed that Reid personally opposes Michael Boggs’ nomination to the federal bench. 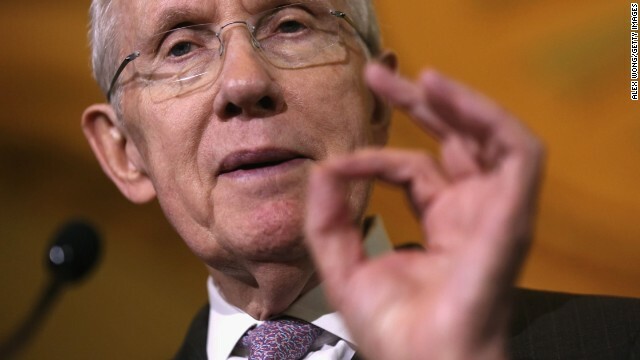 Reid spokesman Adam Jentleson told CNN that the Democratic leader feels he cannot vote for Boggs’ nomination to the U.S. District Court for the Northern District of Georgia, given Boggs’ past views on abortion, gay marriage and the Confederate flag. (CNN) – The National Football League should take note of NBA Commissioner Adam Silver's stance on race and force the Washington Redskins to change their name, Senate Majority Leader Harry Reid said on Wednesday. The Nevada Democrat applauded Silver's decisive action on Tuesday in meting out a lifetime ban to Donald Sterling after the owner of the Los Angeles Clippers was recorded making racist comments. Silver also urged other league owners to support his bid to force Sterling to sell the franchise.